Eggs, bacon, beans… They’re all staples of the great British fry-up. But could shiny pink ceiling and “official” Pat Butcher memorabilia be about to join the list? The Breakfast Club is an 80’s spin on a traditional loved meal, and they’ve started popping up all across London. Soho, Spitalfields, Hoxton, Angel, London Bridge and Battersea are all popular, with London Bridge our spot for the day. You’ll find all the classics here, and they’re done properly. From eggs Benedict to huevos rancheros, breakfast lovers will be able to indulge into something which just hits the spot. English Classics, American Classics, Mexican influenced plates and Spanish inspired dishes all make the cut. However it’s their unique offerings which make The Breakfast Club worth a look. Chorizo hash browns, avocado and poached egg on toast with a twist plus many more let the chain shine. Opening it’s original Soho café in 2005, it was an instant hit with Londoners who wanted something a bit more exciting than your average breakfast or casual lunch. 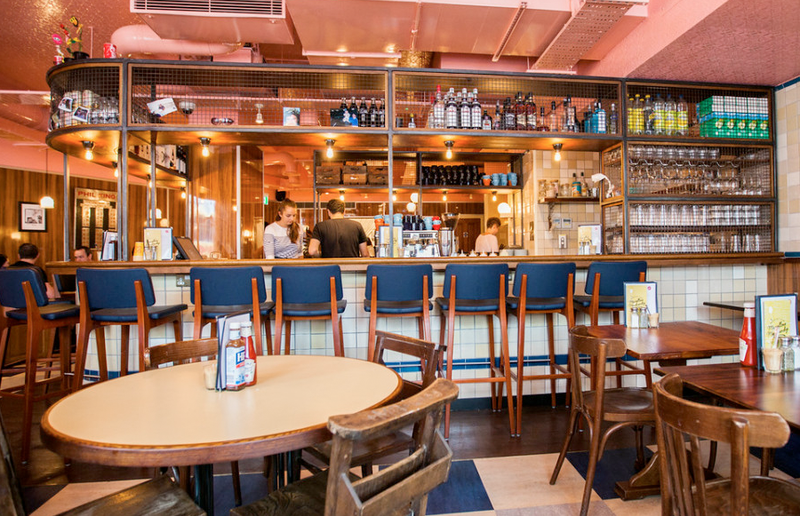 Unlike The Diner, The Breakfast Club feels more British, authentic, and quirky. The design of each restaurant is different, crazy and slightly clashing. Founders Jonathan Arana-Morton and Alison Rooney have filled the interiors with childhood clutter from their bedrooms and covered the walls with all manner of polaroids and American paraphernalia. After a successful couple of years, The Breakfast Club has spread across London, and now have a store in Brighton too. 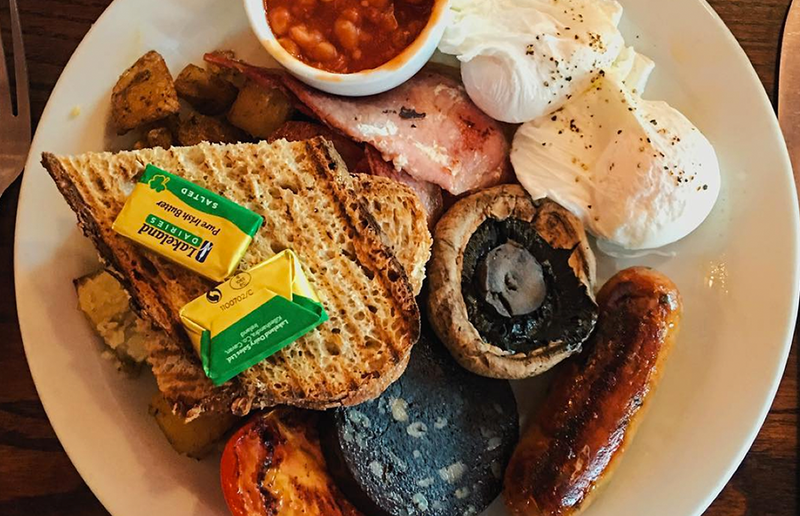 All day club classics are a great place to start once inside, with a ‘Full Monty’ British breakfast coming in at just under £11.00. For your buck you get bacon, sausage, black pudding, eggs, home-style fried potatoes, mushrooms, beans, grilled tomato and toasted multigrain bloomer. For a London breakfast, it’s a full plate. Fries are also a great complimentary side to all of their dishes. Chips with curry sauce, and classic poutine fries, which are a mix of cheese curd and gravy are NOT to be missed, both at £4.50. If you’re looking for something a little later in the day, and for some reason you don’t want breakfast at The Breakfast Club (?) they do have an extensive menu of other yummy options. Sharers such as buffalo wings and nachos, both at £6.50, whilst sipping on a cocktail or fresh fruit smoothie go down a treat. As do their burgers and wraps. The Sloppy Cow burger, which features lashings of beef chilli slopped on a double burger with cheese, is a thick juicy choice, and if that wasn’t enough you’ll get any side free with a lunch main meaning a choice of skin of fries, mac and cheese, salad, sweet potato, slaw, or tomato soup! Oh, and all this for £10.50. And we haven’t even told you about the pancakes. 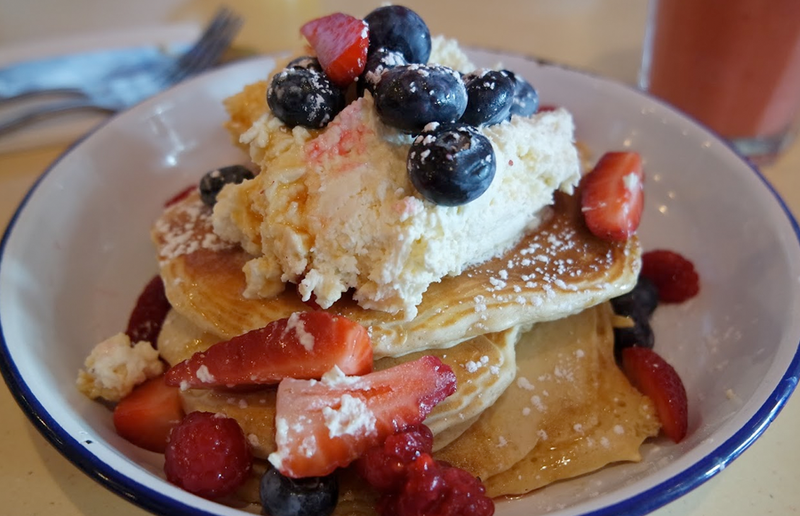 Indulge in gooey, juicy pancakes with fresh berries, soaking in maple syrup and vanilla cream for £9.00. There’s something for everyone at The Breakfast Club, so it’s worth checking out their site to see your local and pop in. If the food isn’t enough to tempt you, they also put on amazing 80’s styled nights such as Canary Wharf’s bingo night, which is £5 for a shot and bingo! The Breakfast Club is a refreshing throwback to times when we didn’t even know what pancakes did to our hearts, and you know what.. those were good times! Can McDonalds 'Signature Collection' really compete in a crowded market?